Download the B95 Country app! WBBN signed on the air in 1985 playing country music and we’ve never changed format. 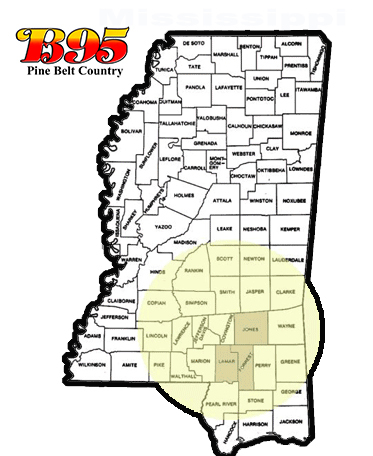 B95 has been the Pine Belt’s most listened to radio station for the past 20 years. 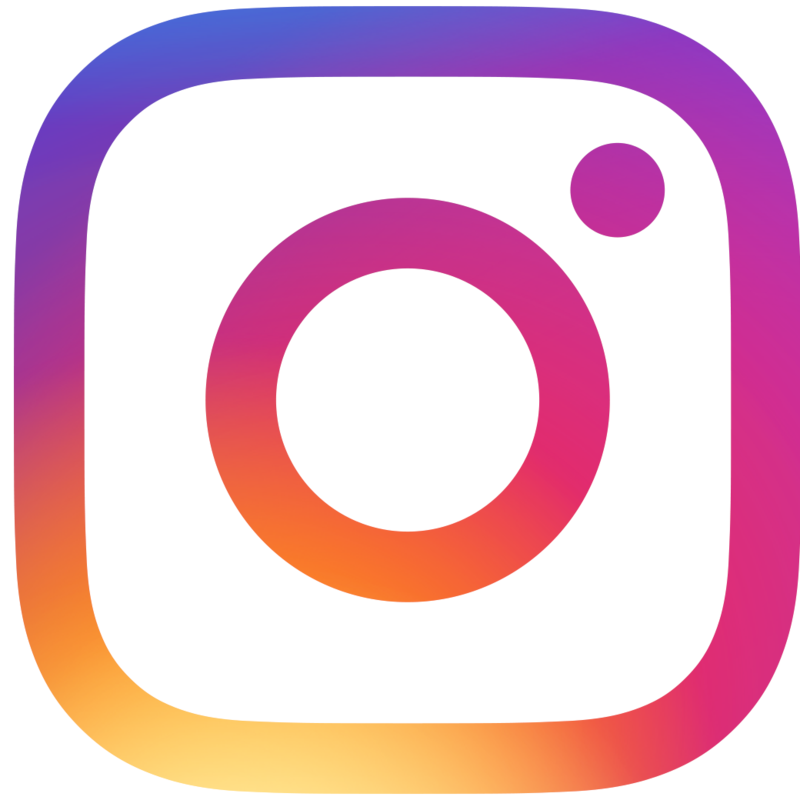 contribute to B95’s success and loyal following. We appreciate each and every one of our listeners. Listening Area: (18 counties) Jones, Forrest, Lamar, Smith, Jasper, Covington, Wayne, Jeff Davis, Greene, Marion, Perry, Stone, Rankin, Simpson, Scott, Lawrence, Clarke, and Newton. News: Locally produced news, sports and weather throughout the day. Weather: B95 is regarded as “The Weather Station” due to continuous weather radar reports, forecasts and storm-alerts by our live staff. 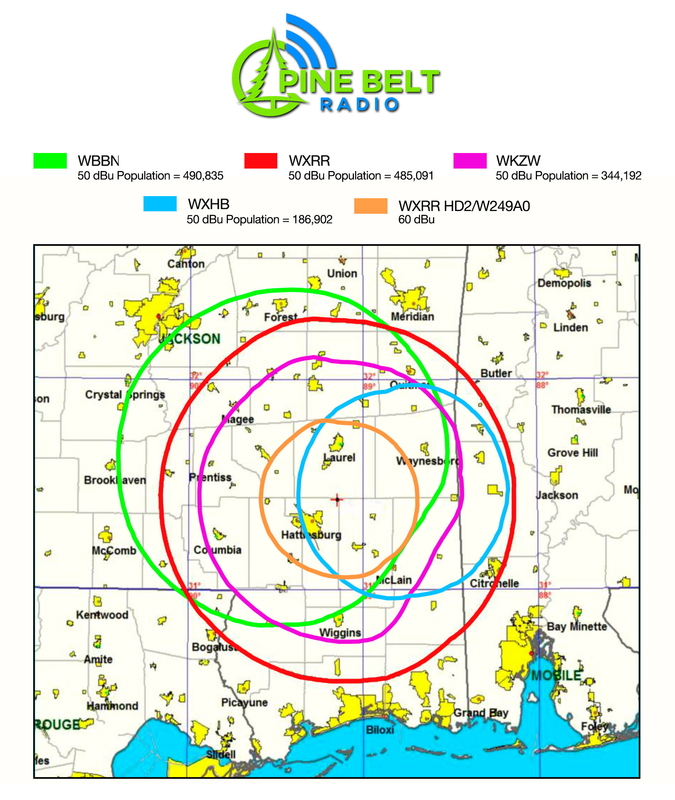 WBBN is also an Alert FM station. Remotes: The “Rollin’ Radio Show” has two black vans with sun visors, flares and a huge Buzzy the Bee on the side and “Buzzy1” a Yukon with a cool wrap. Remote packages include a spot schedule, promos, live broadcasts and talent fees. The B-95 mascot is Buzzy, the Bumble Bee. Promotions: Hot promotions are always in the works, from the “B-95 Money Song” to the “B-95 $95,000 Money Bags Contest” to “The Contest of the Century” plus daily prizes like the Birthday Bouquet, concert tickets, sporting event tickets and B-95 specialty items. Morning Show: The live and local morning show, “The B-95 Breakfast Club” is hosted by Grey Manning and Andy Webb. Features: Earl Pitts (Comedian), “The Country Cafe’” - requests “The Friday Night Jukebox” - requests, American Country Countdown with Kix Brooks, and Pine Belt Saturday Night.